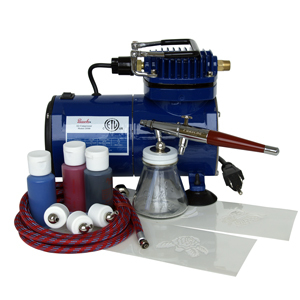 This compressor is perfect to get you started on your tattoo paintings. It’s light and quiet. Besides, there are no additional items needed. This set already has bottles of tattoo paints (red, black and blue). More than that, it’s suitable for all airbrushes spraying properly thinned fluids. It comes with 8 feet hose. The operating pressure is between 20 - 25 PSI. Its motor operates on 115 volts. Besides, it does not require oil, that is, doubtless, makes it more enjoyable to operate with. You’ll definitely like this compressor. 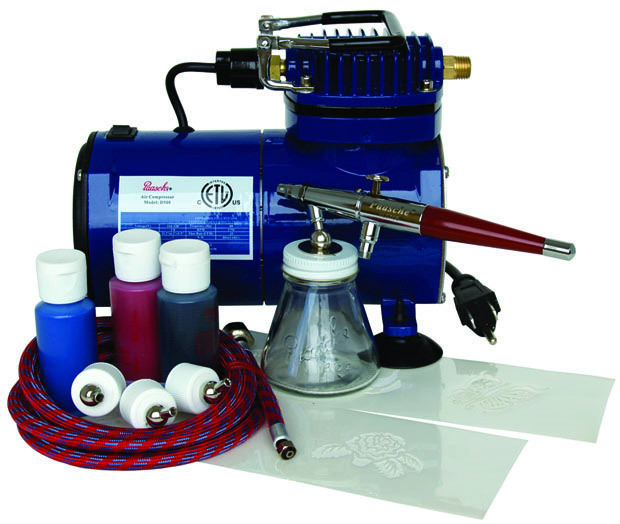 The Paasche BTS-1S Basic Tattoo Set with the D100 Compressor is perfect if you’re a beginner or an amateur at tattoo painting and great for birthday parties as well. Also, it has a low noise level; it is light, compact and easily movable with a handle on the top. Three bottles of tattoo paints and the paint bottle color assembly are included, what makes a tattooing process fast and enjoyable. 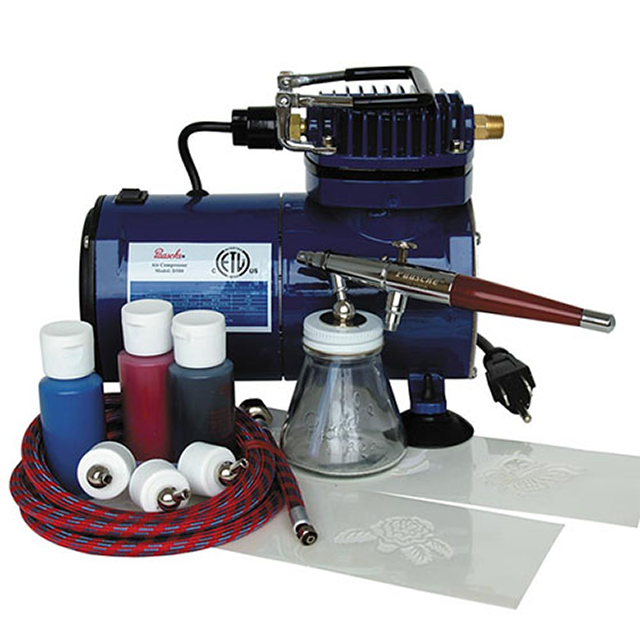 The double-action airbrush allows you to control over the paint stream. The best thing is that you can start using the set immediately after you get it. And, of course, this item is a good value for money because it is cheap and affordable.